TUF SHINE Inc., a Utah corporation, first started out as Tuf Coat Inc. in early 2004 and started marketing their products in local car shows. Shortly after that time the name was changed to TUF SHINE Inc. This seemed to be a better fit to what they were trying to bring to the marketplace. TUF SHINE Tire Clearcoat is the first PERMANENT water based tire dressing to reach the market, as their technology was established in 2004 and at that time there was nothing on the market to even come close to this new water based technology. The principle owners are Ron West, president, and Bob Curtis, VP…I met both of them at a car show in 2009. Over the years they have been developing and improving their formulas and have now perfected a very unique and superior products for the automotive industry. The flagship product is their Tire Shine product which is called TUF SHINE Tire Clearcoat, and rightfully named as it is basically a clear coat for rubber. Its qualities are unique however, in that not only does it provide a beautiful finish to the sidewall of all tires, whether it be a matte finish or a high gloss finish, this product also provides 100% protection from UV and ozone concerns. TUF SHINE Inc. has had extensive testing conducted on this product that provides documented data to support these claims. 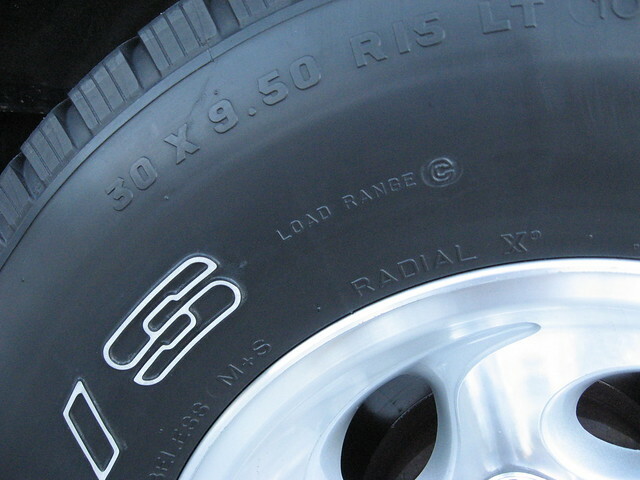 One of the unique tests was to put it on a funny car wheels, to test the elasticity of the product. The product has a 400% elastic give to it, thus eliminating the possibility of cracking. In the 3 years I’ve used the product it has NEVER cracked or blistered off. Unlike most off the “off the shelf” tire dressings, TUF SHINE Tire Clearcoat is water based and is dry to the touch in just a minute or two after application. It has no oily or gooey residue, will not sling off and will not wash off. 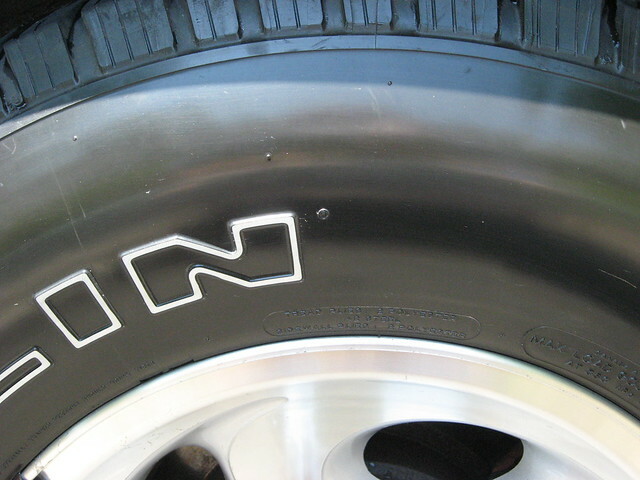 Even when subjected to repeated pressure washings, the tires will retain their shine for several months before another application is required. It is not bullet proof however, it the tire is curbed it will scuff off the finish. Repair is easy, as one just needs to wipe that area clean and apply two or three coats of the Tire Clearcoat to restore the finish. As with any product, proper maintenance is required and occasional touch-ups are necessary to retain the desired shine level. Usually every two to three months. The harsh winter months are no match for the dressing, while the gloss will be dulled over the winter, the protection is still there. A good cleaning with a soft towel and soap to remove any residual dirt, and reapply. Unlike many of the Silicone based dressing out there that in time turn your tires brown, TUF SHINE will never brown! If you have whitewalls, you know that they yellow and become dingy in time. 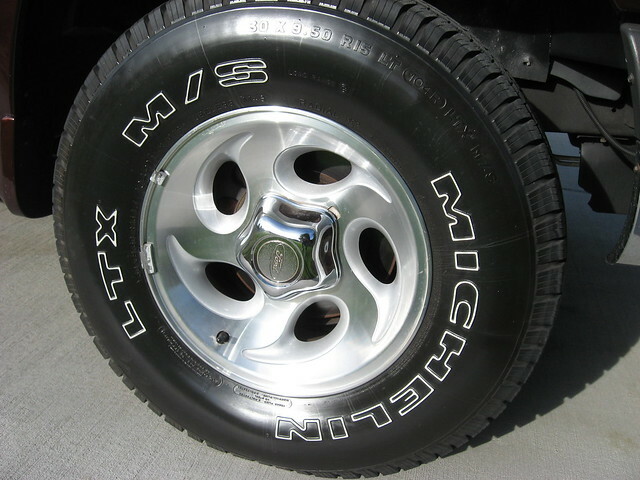 Get them nice and white, clean with tire cleaner, and coat in tire coating……they will remain white for a long time. One of my clients has a limo with white walls, he was literally cleaning them on a weekly basis, I tested the product on his tires and now maybe 4 times a year he has to get aggressive in cleaning them. As with most coatings, proper surface preparation is the key to success. The TUF SHINE Tire Clearcoat is a water based product, and will not stick to any contaminates, especially silicone, which is contained in most other tire dressings. Cleaning the tires is the most important step in this system, and the TUF SHINE Tire Cleaner is specially formulated to deep clean the tires prior to applying the Clearcoat. Once this is accomplished, harsh cleaners are no longer required, and the same solution used to wash the vehicle may be used to wash the tires. Like most things in car care, prep is everything…this is no different. 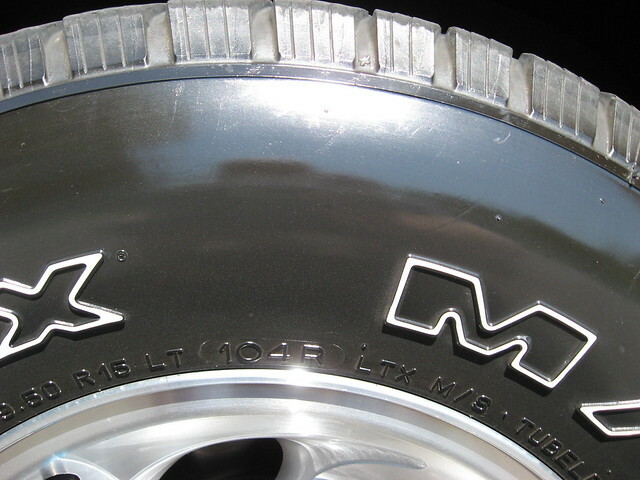 A note of caution with any strong cleaner….uncoated wheels will likely dull if the strong cleaner gets on them. This cleaner is a high pH base, not an acid, so while not as harsh a cleaner it can dull uncoated rims. Acids are more reactive with metals than bases. 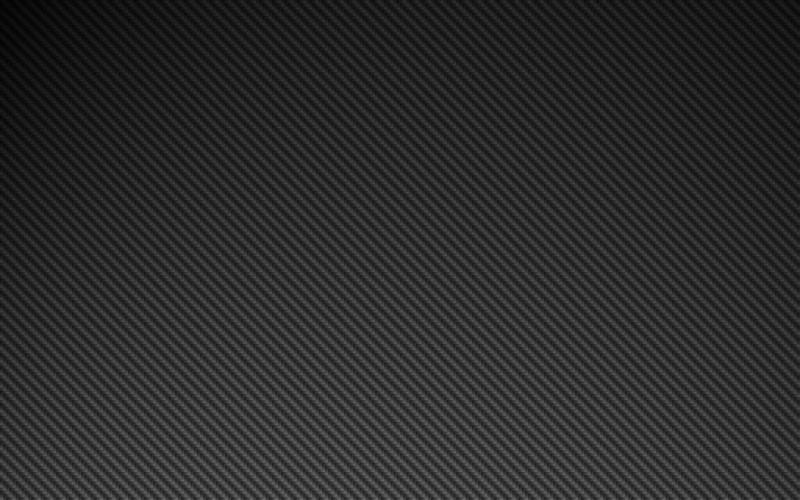 Another water based product being offered by TUF SHINE Inc., is their Black Restore. This product is designed to restore faded black plastic and rubber back to a deep black finish. Here again, being water based, the product is dry to the touch in just a minute or two. It has the same dry finish, and will not wash off. UV and ozone protection are provided as well. Think of the product as the wheel shine with a tint of black dye. You can use it on your tires to produce a very matte finish, and if in time you desire a slight more sheen, top it with the clear tire dressing. It worked very well on a black vinyl top that was fading and in need of replacement, this product has extended the life of the top. Also available is the TUF SHINE Spray & Shine quick detail spray. This unique, NEXT GENERATION formula provides an outstanding shine. The superior protectants repel rain and snow, leaving that just waxed look. It beads as well as any wax and lasts longer than most wax based detail sprays. It is one of the slickest finishes available and has been tested against most major brands. It actually bonds and cures to the surface, providing a glossy, durable finish. You can use this product in direct sunlight, making it a perfect quick detailer for the car show. I also use this detail spray for my cell phone screens, iPads, and other screens for a slick finish that limits finger prints. It’s a great booster to your LSP as it has protective properties to it. The car seems to have a a shimmer to it, a wetter look than without. The only down side to this, for my uses, is that it has a tendency to attract some dust, but the surface is so slick the wind will dislodge most of it. Notes: If you want a matte look to your tires (apply only one layer of tire coating, or have a super slight damp applicator and apply two layers, or use black restore as your base layer). Black restore is great for black step bumpers or nerf bars, as it will NOT be an oily SLICK surface. I have been trying it out on exterior black trim, that is highly faded (in need of re dying) to see how long I can wait till the trim needs to be permanently fixed…..at which time I’ll coat it in black restore to give more protection. As car enthusiasts we become a slave to the wheels and tires, and the weekly ritual of cleaning them will greatly be reduced. My cars are the last to be cleaned, polished or just taken care of, but the tires are no issue. They always seem to look better than the rest of the car. Fire up your questions if I didn’t cover something you were wondering. Its been about 5 months since the coating was applied, while it “looks” like the coating is gone, its really not. 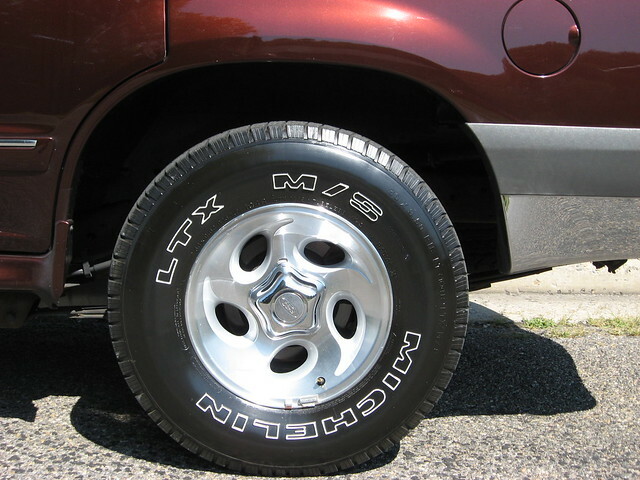 I just needed to rub down the tires during my usual wash, and re coat them to up the shine if I want. Its been almost 4 years since I started using this product, and its being loved by all the clients that just want clean tires and not have to watch them brown or look dingy over the months. Just the other day I had a client bring a car he bought to me, and found that the Tuf Shine tire coating was still there (while more matte looking it was going strong) he didn’t know that I put this coating on the tires almost 3 years ago but made the comment that the previous owner put something on the tires and he loved it but didn’t know what it was. I asked a few questions before reveiling I was the one that put it on. He commented that they never browned, or looked crappy after 3500 miles of driving to car shows the past years. I told him the story and he came in for a “up the shine” reapply.